We will provide you with a non-binding and free estimate right away! Speak to our 24/7 customer care assistants at 020 3746 1366 or via our contact form on our website. Since we initially began offering a carpet cleaning service to all homes and offices in the area, we have been constantly focusing on improving our performance in order to reach our goal of having 100% satisfied customers. We carefully choose our carpet cleaners in Aldgate East E1, background check them and after that train them. Ashlee House Cleaning is the preferred professional cleaning services provider around because we use only top-notch and safe cleaning equipment, and environmentally friendly detergents for fibre protection, stain removal and deep cleaning. We can get all carpet types cleaned and at a very reasonable, fixed price. 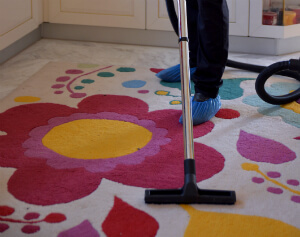 Ashlee House Cleaning has been providing professional carpet and rug cleaning for residential and commercial properties as well to the residents of Aldgate East E1 for over ten years. We work only with recommended, vetted and trained cleaners, who are equipped with the latest expert cleaning technologies and with safe and yet highly efficient cleaning solutions. Our cleaners are trained and experienced to clean any kind of carpet or rug, and to remove a wide variety of different stains, such as: blood, oily stains, paint, rust, coffee, wine, tea, vomit as well as repair moth damage. We use the most efficient carpet cleaning methods to ensure that your rugs or carpets are properly cleaned, all residues and dirt is gone and the dust mites are eliminated, while at the same time - the carpet remains safe and undamaged. Carpet session starts with an examination, testing of the detergents and hoovering. Only after that our professional carpet cleaner will proceed to deep clean the carpet. When steam carpet cleaning is performed, the cleaners use a professional hot water extraction cleaning machine. This method is best for resilient textiles. For more fine materials, we recommend dry carpet cleaning in Aldgate East. Our cleaners use special tools to apply and embed special dry compound cleaning foam in the fibres. The dry cleaning solution is left to stay there for some time and after that it is removed with a vacuum cleaner. Along with it, any residues and dirt are taken out. Our deep carpet cleaning is suitable for both synthetic or natural carpets. If you want to hire our carpet cleaning professionals in Aldgate East E1, you can do it without a deposit! All you should do is use the online contact form or get in touch with our 24/7 customer assistants at 020 3746 1366. We have affordable and fixed prices, and will not ask you to pay hidden fees. If you order several our services along with the carpet cleaning, we will reduce the overall price. Make the most of this excellent offer now and make your reservation right away.